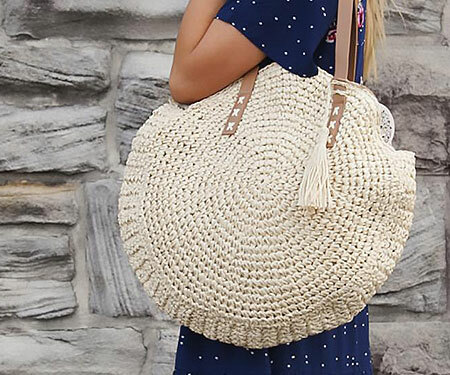 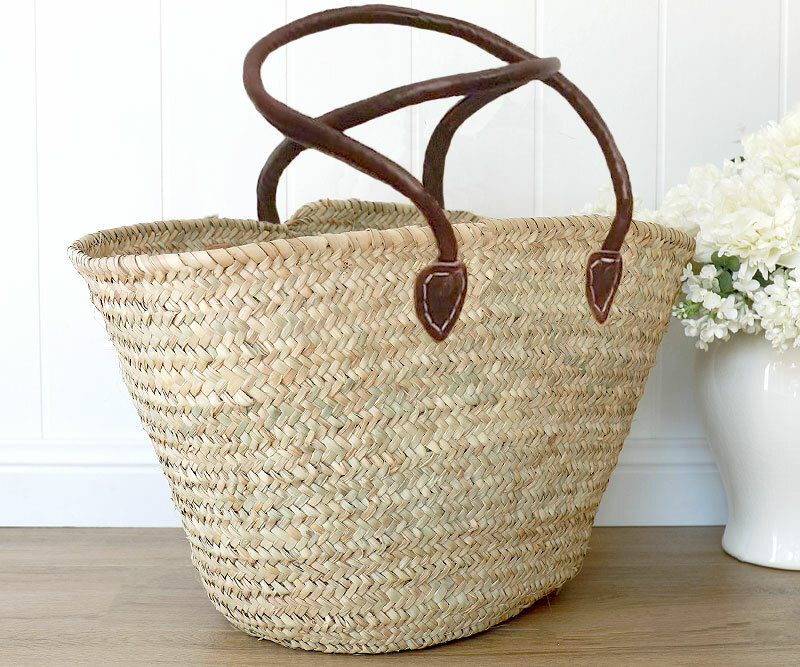 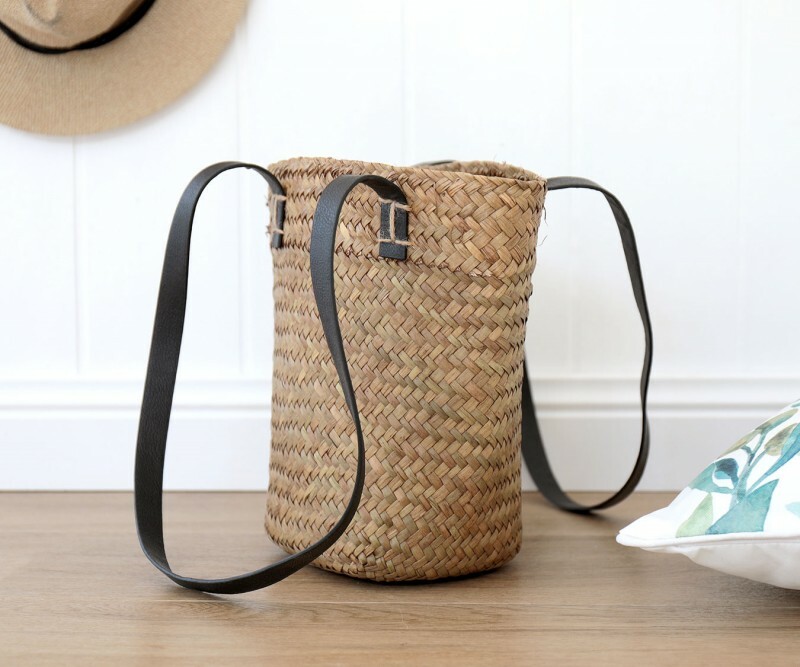 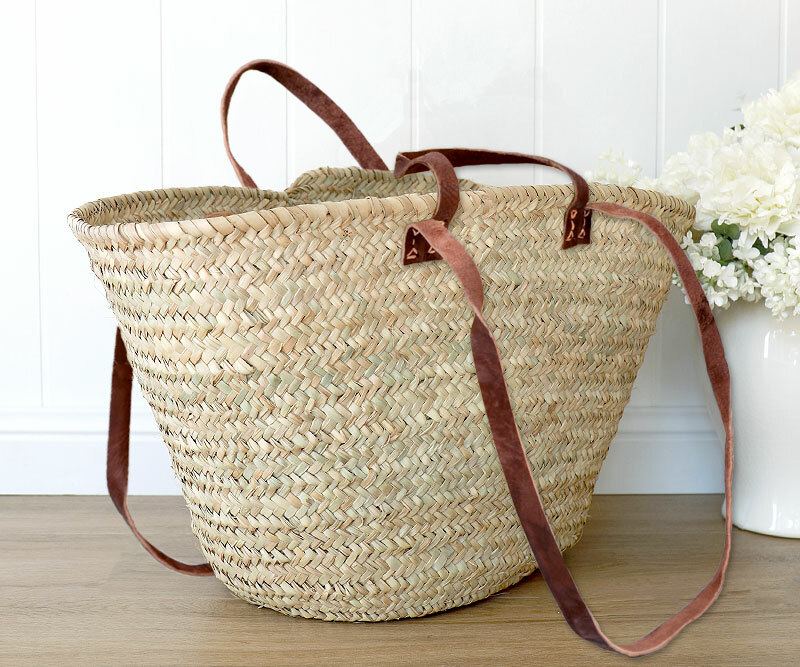 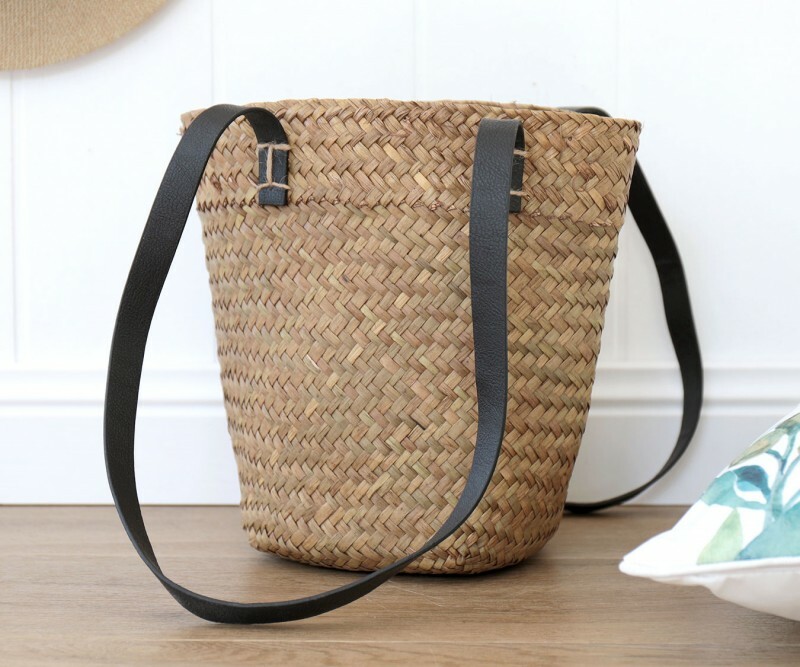 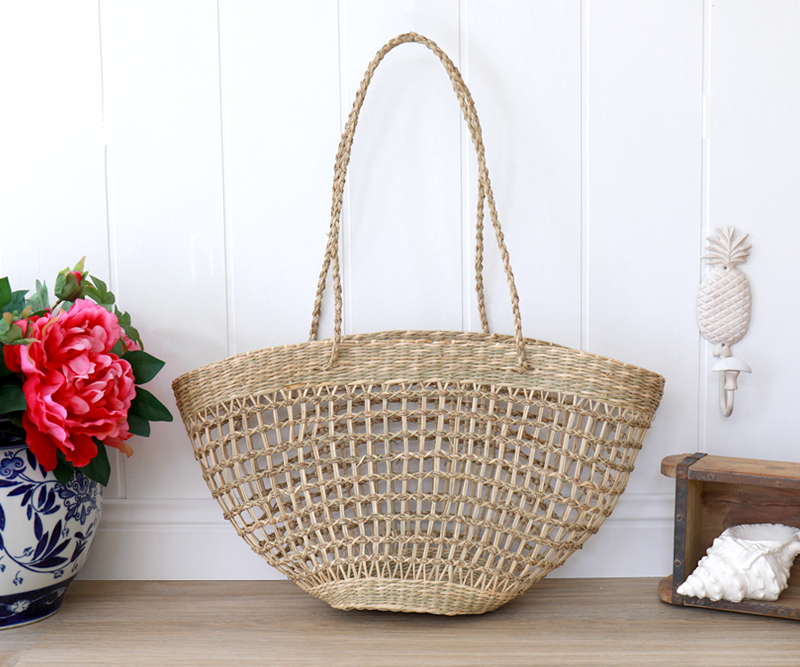 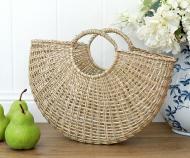 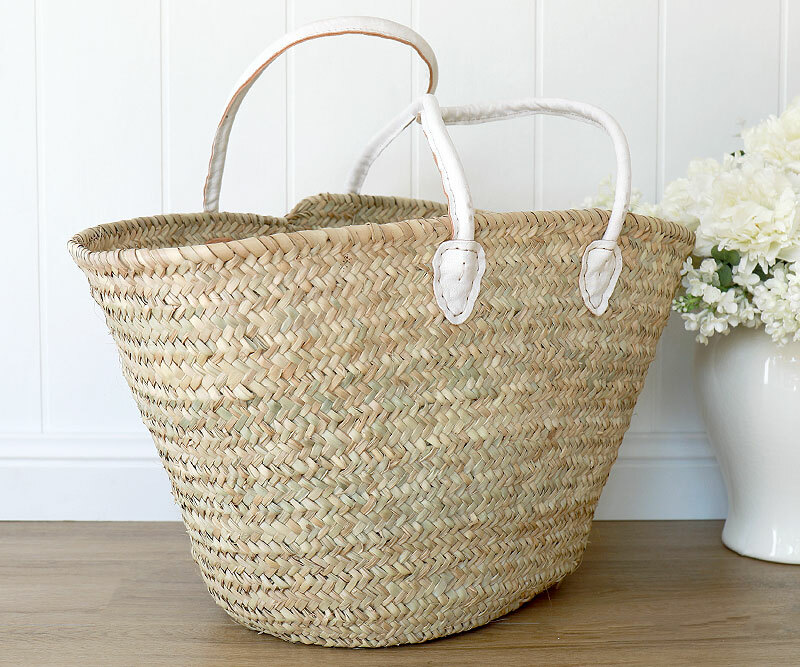 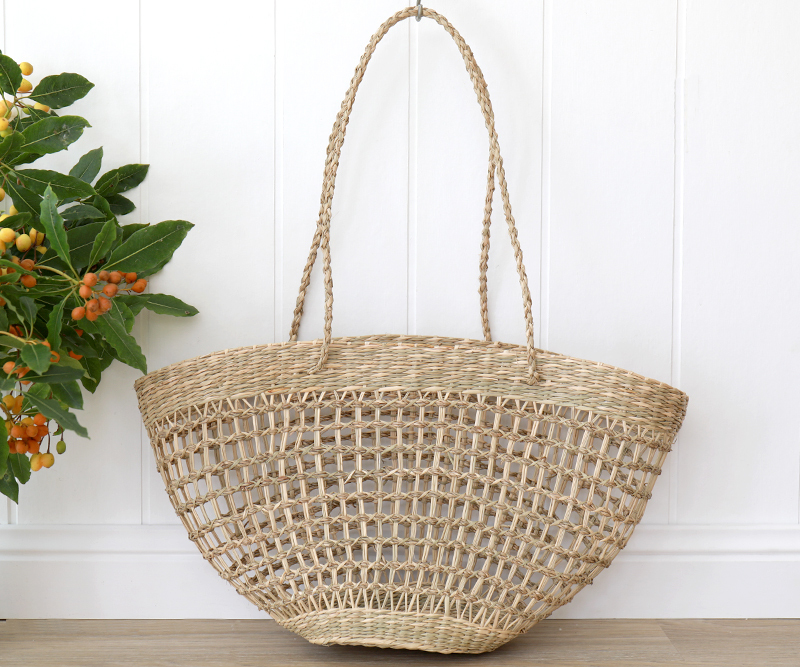 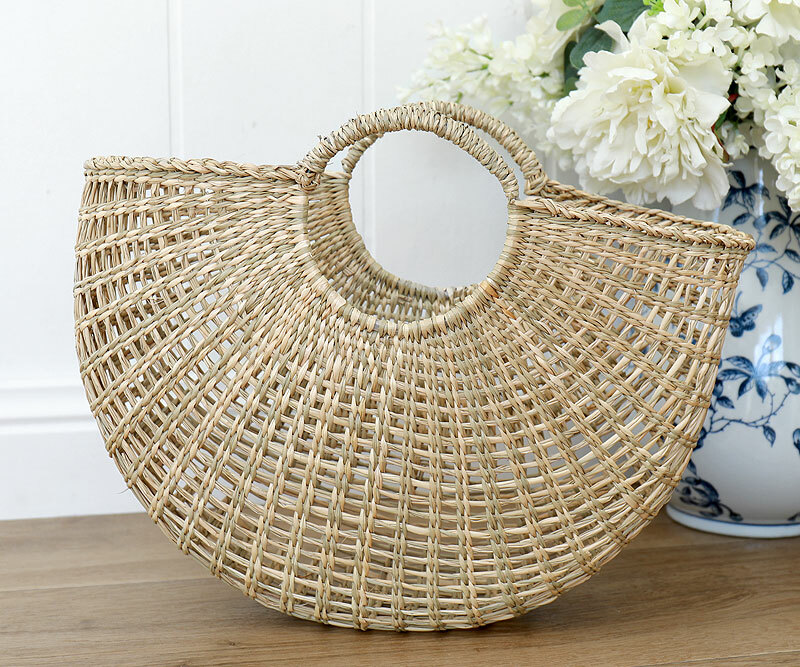 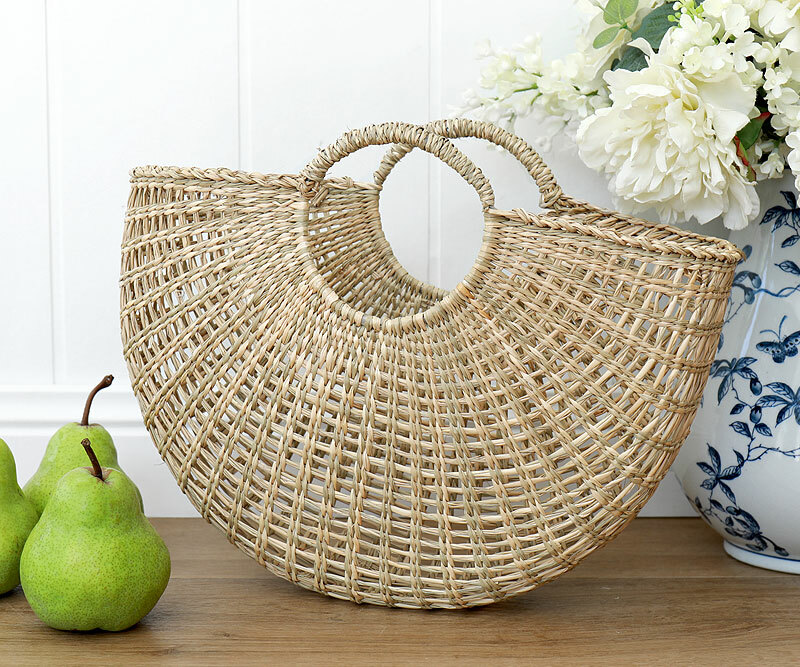 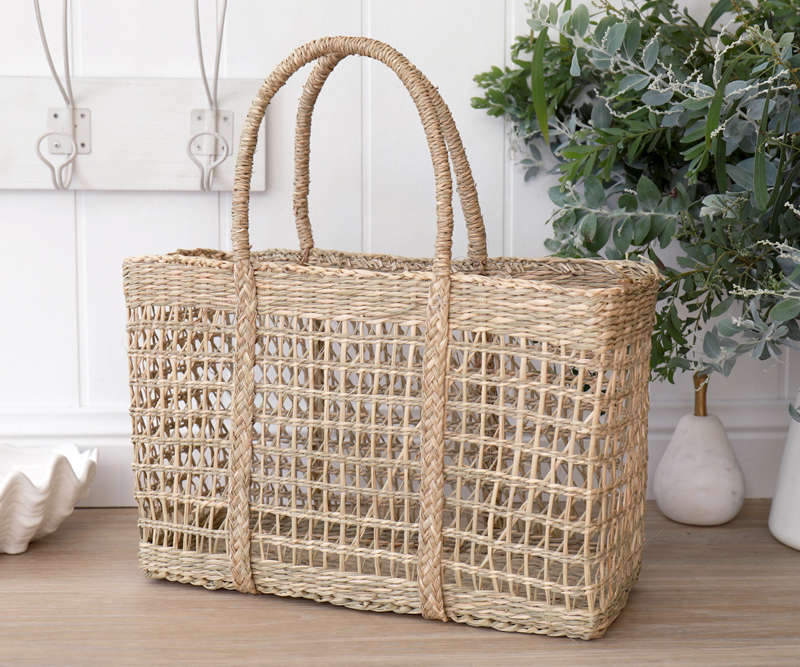 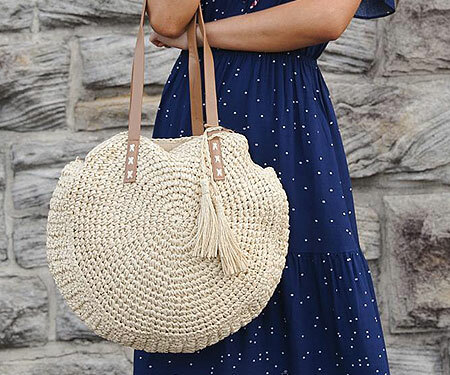 A beautifully woven carry basket, this one comes in a half-moon shape and open weave. 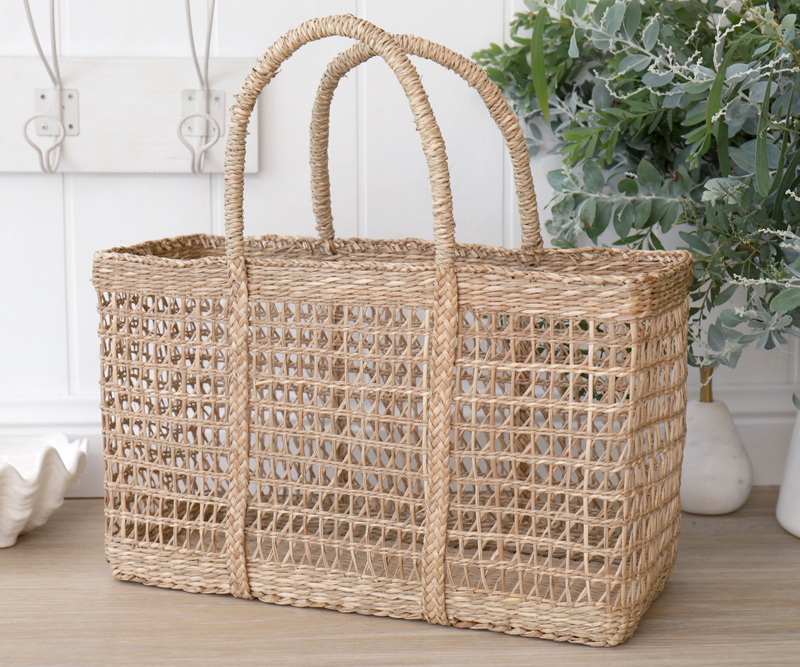 A handy size you can grab this to hold a few essentials on your way out the door, or take to the shop when you are picking up some fresh produce to bring home. 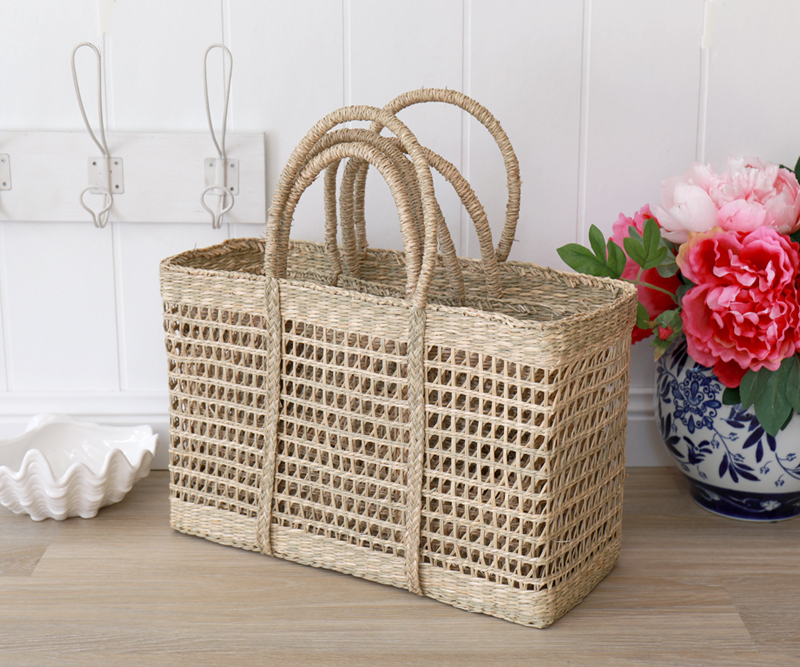 Or place around the home to store scarves or other small items. 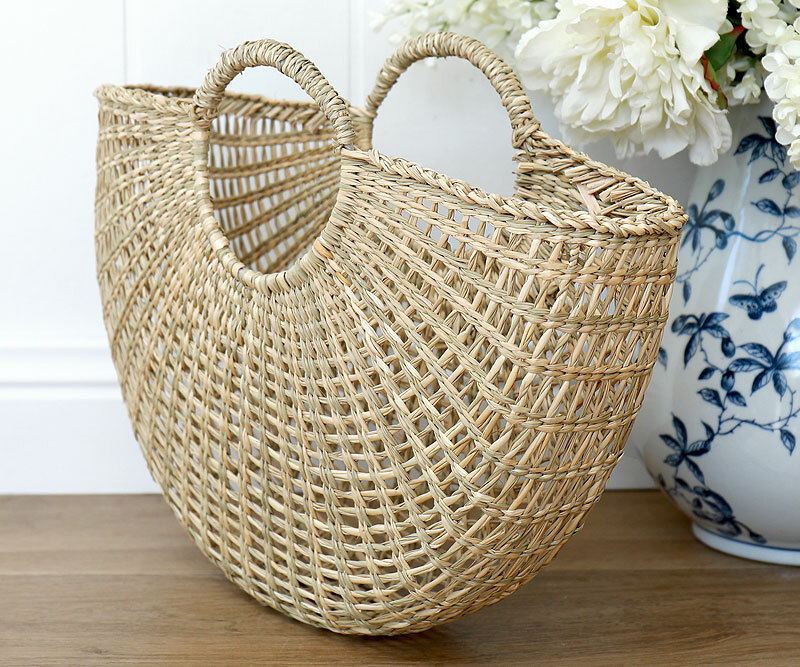 Measures approx 45cm long and 32cm tall. 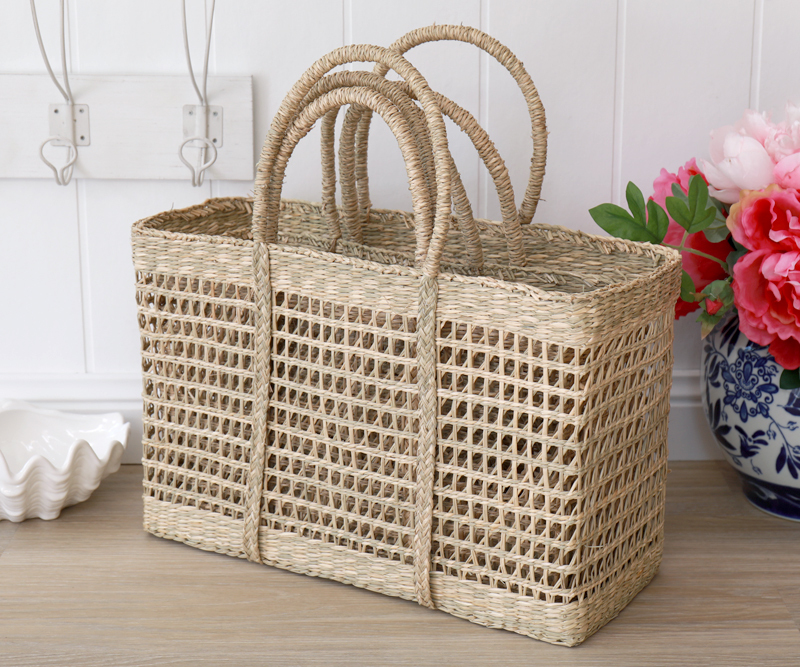 *Remember that seagrass baskets like this may lose their shape slightly in transit or through use. 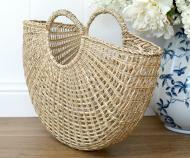 To restore, simply wet, reshape and let dry. 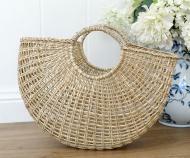 Alternatively you can steam and reshape.